This stylish end table will bring any living room to life. 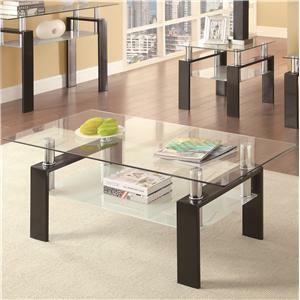 This table features a tempered glass surface, providing extra strength. 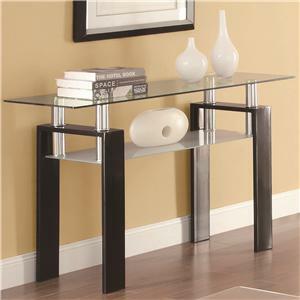 The wide, high gloss metal legs dominate the attention of the table but don't overpower the overall aesthetics. With a frosted glass shelf underneath, the table is both functional and stylish. 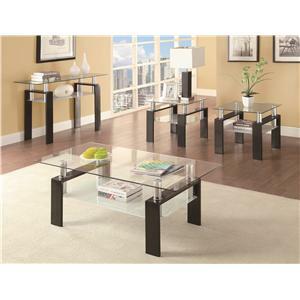 The Occasional Group 702280 Tempered Glass End Table by Coaster at Value City Furniture in the New Jersey, NJ, Staten Island, Hoboken area. Product availability may vary. Contact us for the most current availability on this product. 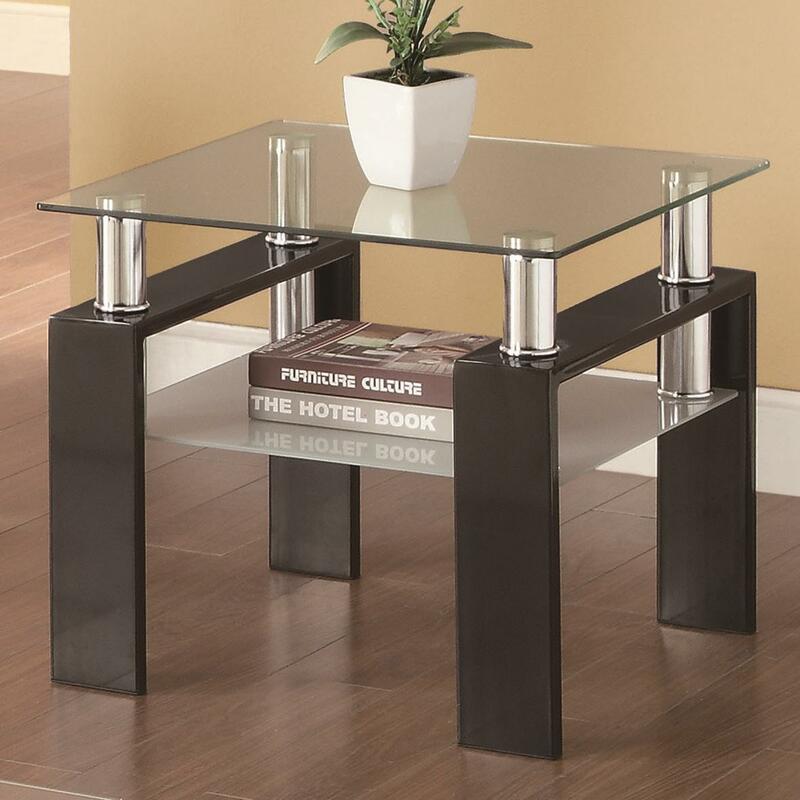 702287B2 End Table Top 1 0" 0" 0"
The Occasional Group 702280 collection is a great option if you are looking for Contemporary furniture in the New Jersey, NJ, Staten Island, Hoboken area. Browse other items in the Occasional Group 702280 collection from Value City Furniture in the New Jersey, NJ, Staten Island, Hoboken area.